This winter solstice probably finds you knee deep in Holiday preparations. Things here have been hectic (you can relate, I know) and decorating is at a minimum this year. 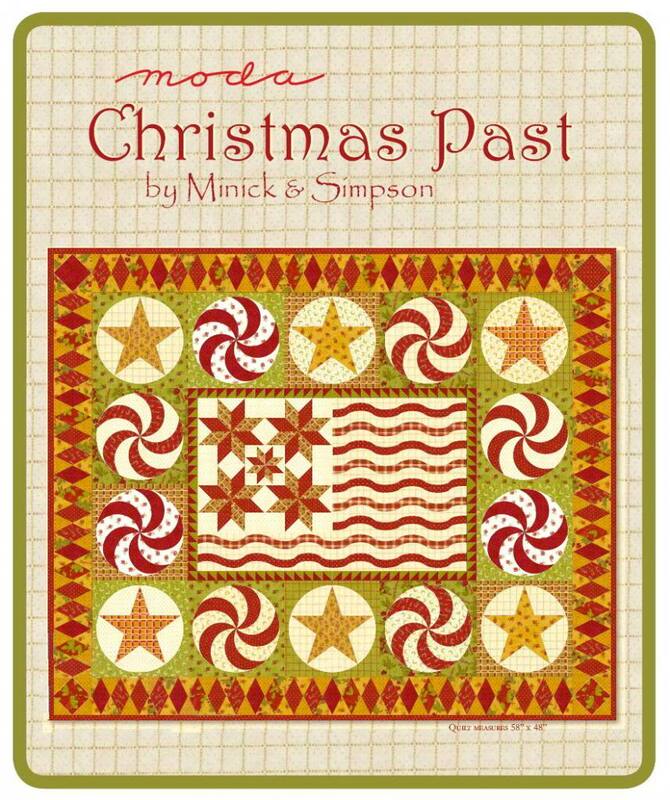 Since I have a collection of Christmas quilts - that is how we are decorating this year. I have 5 Christmas quilts hung up and the tree and ornaments are taking a break this year. I posted this above photo for my weekly #handquiltingwednesday posts on Instagram. 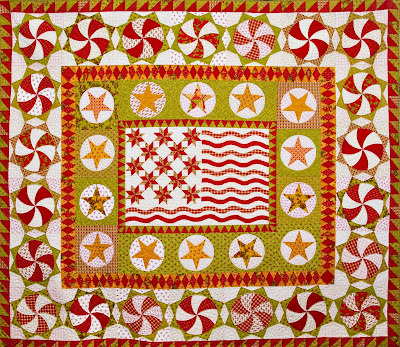 Nightengale isn't necessarily a Christmas quilt, but it sure works. 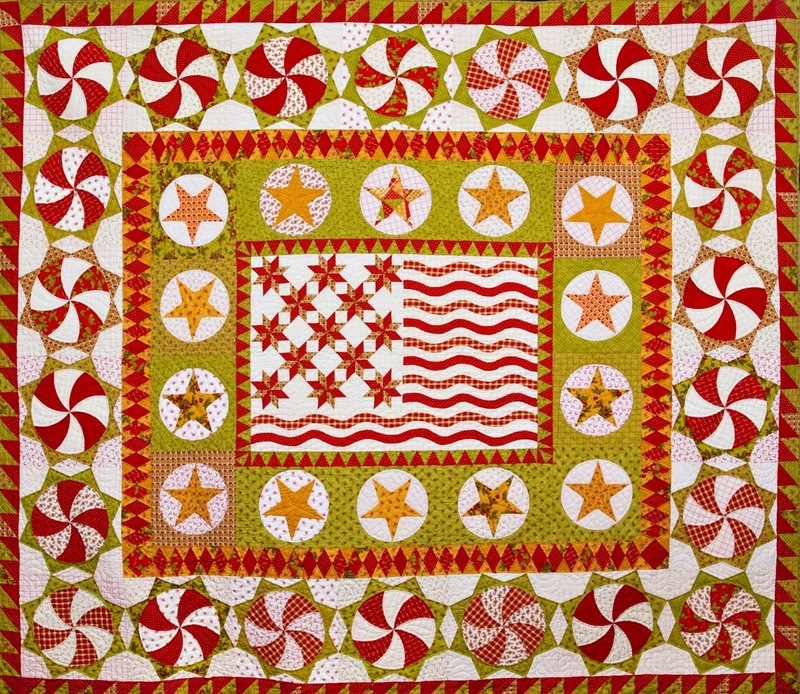 Red and white quilts in abundance have a holiday feel. This is it right after we hung it and the creases haven't completely fallen out yet. It's a good reminder to rotate the hanging quilts and refold the quilts in storage so those folds don't become permanent. This one is hanging on the large brick wall. It needs a large wall as it is 101" wide. It's kind of a beast, but it sure is festive. 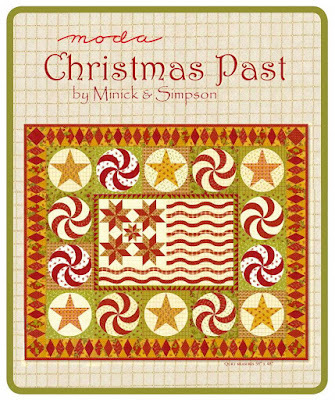 This large pattern was in McCall's magazine many, many years ago and it is also in our book Quilts and Rugs by Quiltmania. If you want the look and feel of this quilt - you can get it with this pattern. This pattern is a smaller version at 58" x 48" and the download pattern is available HERE. I was planning on doing some baking tomorrow once I finished a quilt top today. Well, since I spent all morning ripping apart the quilt top (HEY, fun fact - did you know seam rippers can dull and you need to replace them? ), I need to re-design and remake the quilt top. 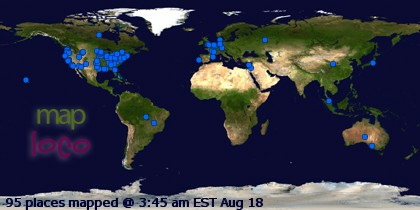 I think I need some fresh air first. If your seam rippers are nice and sharp and you are refreshed - maybe you need a small bundle of Ann Arbor fabrics. I have a BLUE Fat Quarter Bundle and a YELLOW and RED Fat quarter bundle. May you and your family and friends have a great holiday!